This is what my organic garden looks like today. Not quite ready to start planting yet, haha, but I’m gearing up for spring. I’ve been making sure I have my seeds and organic fertilizers and microbial inoculants all ready to rock when the soil warms up. Fortunately, those goals are very much linked. That’s because these pests only go after unhealthy plants – that’s one of their main roles in nature. Many experienced gardeners and farmers have a hard time believing that, but they haven’t really studied how insects and diseases communicate, digest food, navigate, and generally live out their life cycle. But it’s true – if I can grow healthy plants, pests won’t cause much of any problem. 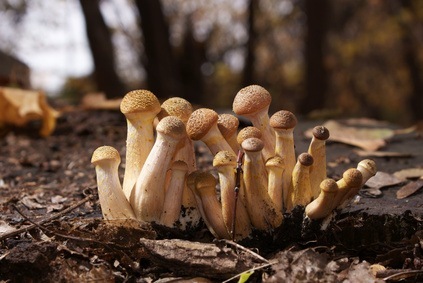 We’ll start with organic matter, because that’s been perhaps the central recommendation of the organic gardening movement since its inception – especially using compost. It has to be good compost. If it smells bad or is loaded with pesticide residues, it can really harm the soil. Be sure to only use good stuff – otherwise skip it. You don’t need much. A lot of organic gardeners apply so much compost that it leads to fertility imbalances (especially excess potassium) and even anaerobic soils. Just a light dusting is all you need, max 1/3 cubic yard per 1000 square feet. So even if all you have room for is a little worm compost bin, that’ll be enough for many home gardens. Many organic gardeners would say compost is all you need to improve your soil, but it usually isn’t. Some people may be lucky enough to have balanced soil fertility that doesn’t need any help, but most of us do need to use other materials to tweak it, at least if we want to dictate what grows in our garden and if we want it to be healthy and free of pests. Still, a small amount of quality compost is certainly very helpful in a garden. Then, just as important as compost is a good mulch. That’s how nature does it, always keeping the soil covered. Leaves are often best for this. Straw is okay, too. I know many people prefer the look of wood chips or shredded bark, but these can cause some issues in a garden – they’re okay around woody plants, but not as good around herbaceous perennials and annuals, including the vegetable garden. Most of our soils don’t have enough nutrients, and even if they do, they’re usually out of balance. What that means is even if you’re lucky enough to have a lot of nutrients, odds are they aren’t in the correct ratios to optimally support plant health. For example, most soils have too much magnesium in relation to calcium, and too much phosphorus in relation to potassium – both of which cause many of our common garden problems such as soil compaction, plant sickness and pests. It’s especially important to get the calcium up to appropriate levels, which is why I recommend everyone apply 10 pounds of calcium carbonate per 1000 square feet to their soil each spring, whether or not you have a soil test showing you need it. A small percentage of soils won’t benefit from this, but it’s not enough to cause problems. Even better would be to send a soil sample to a good organic lab and then follow their recommendations. They’ll tell you which specific organic mineral fertilizers to use to get your fertility moving in the right direction. And the cool thing is you don’t need much fertilizer – just a little to tweak the system. Then comes all of the micronutrients – boron, zinc, copper and many others, over 80 in total. We need to have just tiny amounts of all of them because they have important roles to play in plant health. And we can’t forget microorganisms, which are essential for the health of our soil and plants. Incidentally, they’re essential for our bodies, too – we have about 10 times as many microbes in and on our bodies as we do human cells! In the garden, they’re responsible for transforming soil into a place where plants can thrive. Then they feed plants both nutrients and water, and protect those plants from insects and diseases. The plants give them food in return, so it’s a nice little love affair. Unfortunately, most of our gardens are deficient in these beneficial microorganisms for various reasons – tilling, topsoil removal during construction, environmental pollution, pesticide/chemical fertilizer use, etc. – so we find it extremely useful to bring them in. Then there are the plants – obviously key to our organic gardens, although as you can see from the points above, they’re only part of the picture. But of course they’re a rather important part. And if your goal is to grow nutrient-dense food, you really need to make sure you’re starting plants from seed in the spring and then saving seed from the best plants come harvest time. Repeating that cycle every year is vital to getting healthier plants, because by continually selecting those that are healthiest in our climate and soil conditions, they’ll get a little healthier every year. It’s entirely fine to buy plants, too, especially when you’re starting out (in fact I still buy most of my ornamental plants). We can make the most beautiful, living soil in the world, but it’s important to remember to go back to basics on a few abiotic (non-living) factors. Sunlight. Tomatoes generally want full sun, while most hostas like a little shade. If we plant tomatoes under a maple tree, they’re probably not going to do so well. If the hostas go in the sun, they’re gonna fry. It’s important to plant in the right spot. Water. It’s easy to get enamored with all of the interesting fertilizers available to us, but if we forget the most important substance of all – water – nothing’s going to work very well. Too much is just as bad as too little, but finding a balance is easy if we pay attention. Temperature. In my area, I just have to accept that I need to wait until May to plant most things, when the cold nights are through. There’s not much point in flirting with the frosty nights anyway, as most plants won’t get far until the soil has warmed up as well. And overall, it’s important to choose plants that make sense for your climate. This photo will be explained at the link down below. The big takeaway from this is that we need all of these to be in place. There’s not nearly as much benefit applying compost if it wasn’t made in such a way as to contain beneficial microorganisms, and if we aren’t combining it with the appropriate nutrients to correct fertility imbalances. A problem in the organic movement has been too much focus on compost without addressing fertility. There’s not nearly as much benefit applying nutrients if we don’t have soil organic matter to catch and hold on to those nutrients, and beneficial microorganisms to help make them available to plants. A problem with the chemical method is that we’re force-feeding nutrients to plants rather than utilizing nature’s way. There’s not nearly as much benefit of applying microorganisms if we don’t give them the nutrients and organic matter they need to do their thing. The newer biology-based movements have had a tremendous impact on organic gardening and farming, but we still need to remember the chemistry side of things, that is, the nutrients. There’s not much benefit of doing any of these things if we don’t choose appropriate plants for our climate, plant them in the right place at the right time of year, and then give them the right amount of water. I’m hoping to be the last piece of the puzzle for your garden, because I want to help you with all of this. So if you have any questions about anything, ask them down below. And here’s something I’m REALLY excited about. I’ve been working hard over the last 2 months to put together a list of materials that will help you get the nutrients and microorganisms back into your garden. Some of them you can buy, while some you can make yourself. Have you ever worked on a project that’s so exciting you find yourself staying up late every night because you’re just having so much fun? Any advice for making compost tea? I have a very simple composting bin, and make my compost mainly from kitchen veggie scraps, with a small amount of yard trimmings. Do I need a special composter that makes tea, as well as compost? Or, is there an easy way to make it? I tried soaking some of my partly-composted materials in water, but it turned into a very smelly mixture! 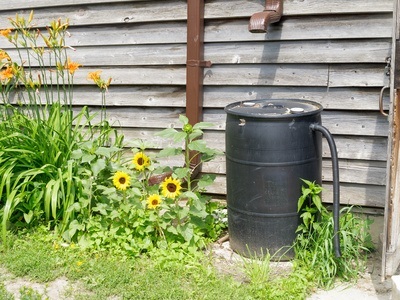 Should compost tea be smelly? Thanks for any advice! Good question. Here’s my compost tea brewer page: https://www.smilinggardener.com/sale/compost-tea-brewer/ There are 2 kinds of compost tea. One is what you’re describing, and yes, it is smelly. It can cause some problems in the garden (smelly often means harmful microorganisms), but it can also potentially have some benefits if done by someone who knows how to properly make these ‘anaerobic’ teas (i.e. made without air).I don’t know much about them because I’ve always gone for aerobic tea (i.e. made with air), which is a bit more work, but also makes a very useful tea, as I explain at the link above. Hope that helps! Thank you, Phil. Your info about compost tea is quite helpful. I now can see that my tea needs to be aerated. Your link to the page about the compost tea brewer is very informative, and is convincing me that it’d be a good idea to get one of those aerating compost tea brewers! It’s a bit of a myth that gypsum should be used when you need calcium but don’t want pH to go up. Ultimately, you should just apply which nutrients you need and the pH will move towards the right place. If you need calcium and sulfur, then gypsum is certainly warranted. But calcium carbonate is probably also warranted – it may even help bring your pH down. I have seen recipes online for extracting calcium carbonate from eggshells using vinegar. It would seen that this approach would be more easily utilized by the plants since it is already dissolved in a solution. Of course you would need to dilute it since the vinegar will be quite strong. Do you have any insights from getting your calcium from eggshells? Yes, I’ve done it occasionally, but of course it’s only a tiny amount of calcium – great for houseplants though. Phil, of all the things that I have admired about you, your professional and very respectful response to this rather rough post is the best. I agree about your comment about university education. It is true in all fields but most pronounced in the field of science especially medicine and nutrition. I have compiled many of the articles and videos from authentic sources which rebel against the mainstream teachings. Most of the authors and speakers are industry insiders who have started questioning the indoctrination that they have been subjected to in their education and training. The hidden hand here is that of Big Pharma, Big Food and generally Big Corporations who fund these educational institutions and then dictate their curriculum to teach what suits their agenda. Surely, we all can be wrong. A willingness to keep learning and “freedom to respectfully discuss” is the key. Let us keep doing it! Agreed, thanks for sharing Shailendra. I was lucky enough to live in Prince Edward Island for a year, right by the water, and had four raised beds of vegetables. I would gather seaweed that had washed up on the shore, dump it all in a wheelbarrow and give it a good soak. I’d put some of it in a large bucket, and soak it in water for several days to make a tea, and the rest would go directly onto the soil around the plants as a mulch. It was so useful, as a fertilizer, as a mulch, as a repellent for certain insects (especially slugs, the seaweed hardens as it dries, and becomes very sharp), and eventually it would just start to break down and add all its goodness to the soil. I’ve never had such a successful garden ! Absolutely, it’s beautiful stuff. Lucky you! Hi Phil!Would you have any advice on how to check for the correct balance of nutrients? Is there any standard table to look for?I have been making compost for 5 years, using different materials, making tests, but the compost that works amazing for some plants (ie: tomato plants) turn other’s leafs yellow (ie: oak). I assume the pH has something to do with the yellowing. Do you think that adding some sulphur bars would be beneficial on those cases, if the pH is too high? You say not to use dolomite lime, but some magazines recommend it. I live on the west coast of BC with lots of rain of course. Hi Lesley, yes, a lot of magazines and books recommend it without really understanding why. 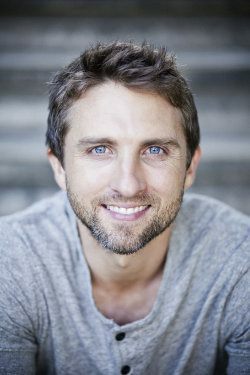 It’s not that it’s inherently bad – it’s just that it often adds too much magnesium, which results in a few problems. You probably do need some lime, but calcium carbonate is almost always the better choice. A base saturation soil test would help you figure that out. I am getting mixed signals. My soil is heavy toward clay and I have been pumping compost to it for the past couple of years to hopefully get it to the point of being able to produce those strong plants that do not attract insect pests. From your info above, I see you recommend only about 1/10 of an inch of compost (1/3 yard over 1000 sqft). Last year’s garden was not very productive but it may have been due to the strange season that we had. 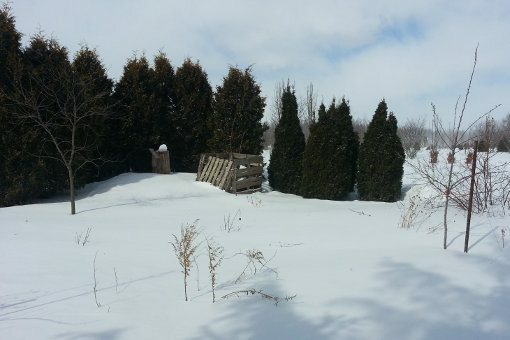 In addition to the main plot, I have two raised beds that are filled with compost and screened forest topsoil. I had an initial basic soil test done by a local university and plan to get a comprehensive one done over the next winter. I will attempt trial and error this summer. Yes, there’s a lot of conflicting information about using compost. I know in the past I’ve advocated bringing in as much as 6 inches when building a new garden on poor soil, and it’s possible that might be warranted in order to get the organic matter down into the soil right in the beginning. But it’s also a lot of nutrients to supply at once, and will probably result in some excesses for the first few years, which may cause problems.Compost can definitely help with clay, but it also brings in a lot of potassium, too much of which will cause compaction. What you need to do next is balance the soil nutrient ratios, especially the calcium. Calcium helps flocculate the soil, so that may be what you need (a soil test will give you better info), and you’ll probably want to take it easy on the compost from now on – just a little bit each year. My SE Texas soil is mainly clay. Right or wrong and what helped most? My beds are raised only 6″, I broke up sheets of used drywall and along with oak & ash leaves plus compost (more of all added each year) resulted in loose soil after a couple years. Yikes, hope you aren’t eating food grown in that drywall soil. Otherwise yes, a bunch of organic matter can do wonders to loosen a soil – I’ve even seen a sheet mulch (thick layer of various organic materials) loosen up a compacted gravel driveway. Soil testing in our country is very expensive. Therefore an ordinary farmer or a house hold cannot attend to regular soil testing every time he/she intends to fertile the soil. Isn’t there a simple and less cost method to test soil by our own. Further you have mentioned that using wood chips to cover soil has some disadvantages, but straw on the other hand are full of chemicals since chemicalsare being used extensively. Compost too are not sure of it’s quality though the cotainer claims to be. Isnt there anything that can go with wood chips to neutralise the adverse impacts on soil. I do make compost on my own but use only wood leaves no kichen waste is added since there is no kichen nearby. I also use cow,goat and poultry dung. Is it adviseable to use these strait without mixing. There is no affordable, accurate home soil test method. I agree that professional soil tests can be expensive, but so is fertilizing with nutrients that you don’t need – a soil test actually helps us determine exactly what to use. But in many countries, the soil testing methods used – and certainly the recommendations given by the lab – are not what I would advocate, so I agree, it’s a bit of a pickle. My experience is all in North America, but I look forward to getting on the ground in other parts of the world to see how to best work under different circumstances.As for organic matter, whichever materials you use – straw, compost, etc. – should come from non-sprayed sources so that they’re free from chemicals. 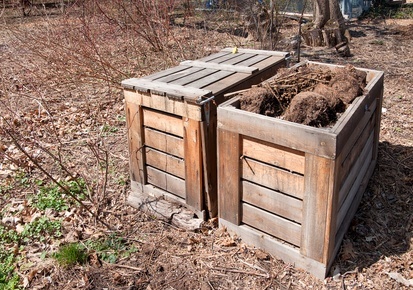 With wood chips, if you compost them that will take care of the problems. Dung is great to use, but should be composted first as well. I’d mix your dung with your wood chips and compost them. Yes, those are still the ones, although you may find something similar in your own state, but they can be hard to come by. I live in Zone 2… What cover crop would you recommend for this area? Hmmm, good question. I suppose most things will winterkill in zone 2, but that’s not the end of the world. For grasses, cereal rye goes down to zone 3. For legumes, many of the clovers go down to zone 4. So a mix of those 2 would probably best, and you’ll see if they come back in the spring or not, but either way, it’s still nice to get them going in the fall. I have been advised to use Magnisium Sulphate 12.6 grams per 4.5 liters of water diluted well and water the plants which will help to absorb fertiliser by the plants quickly. Is this true. If so how often I should do this. Further is it advisable to use Dolomite every year to increase the calcium content of the soil. If so could you specify the square area and the quantity. It is only advisable to use magnesium sulfate if you know your soil is deficient in magnesium and sulfur. It is only advisable to use dolomite lime if you know your soil is deficient in magnesium and calcium. Otherwise you can cause problems with the nutrient balance in the soil. 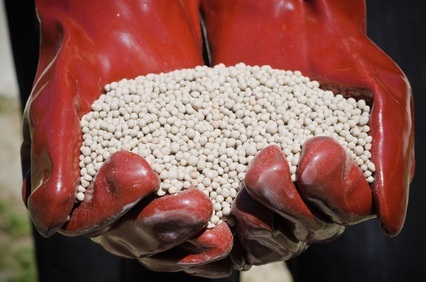 If you want a broad spectrum fertilizer that just supplies a small amount of many different nutrients, use sea minerals ( https://www.smilinggardener.com/sale/sea-minerals-fertilizer/ ). Hope that helps. This is my year to start bringing back my veggie garden. I have raised beds and plenty of compost…. Any suggestion on what to add to it? Somebody said pro grow? Another said more compost? There’s a lot out there I don’t know what to get? There are a lot of different ways to do it Amy. Some form of pro grow could work. I tend to go more natural. I use 75% topsoil (bought in bulk by the cubic yard) and 25% compost. But that’s just my method. I generally prefer not to use peat moss/perlite/vermiculite/etc. in a raised bed, but that’s not to say it wouldn’t work. please help. my ground is so hard you need a pick ax to get through it. not kidding! what should i do? I would start with both of these 2 steps: 1. Send a soil sample to a good organically-minded soil lab and follow their fertilizer recommendations to balance your soil nutrition (because imbalanced soil nutrition causes compaction). 2. Sheet mulch the garden and you will be amazed at how loose the soil can get after a year, or if it’s too big to do that, try to establish a cover crop to break up the soil. thank you very much. sounds easy!! i like that. Phil-have you experimented with BioChar yet? Sorry John, I’ve always stuck with compost, mulch, and cover crops for my organic matter. 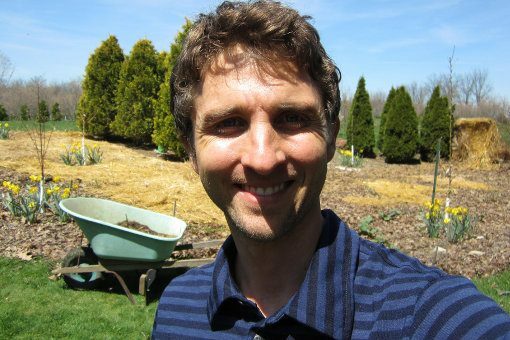 Hi Phil, I am a new gardener taking over a Portland Oregon community organic garden plot 12′ x 12′. Don’t know how many people had it before or what they grew. I want to be a smiling gardener. I was just given the other April 1st 2019. As I was digging thru the soil getting rid of weeds and their roots and getting soil sames to test the soil, I was surprised there are so many earthworms which I hear is great. But there are also so many of other type pests like grub worms, slugs, beetles and so many other funny looking bugs. I bought books and veg seeds and wanted to share this new gardening experience with a young family with 3 little kids. We are all new to gardening and I’ve gotten everyone excited. We are growing our seedlings at home until we plant in may. I am at loss as what to do to get rid of all the pests. Should I dig up and shake the soil on a screen like gold diggers panning for gold, then find and pull out all the slugs, grubs, etc? I can’t afford to remove all the dirt and replace the soil. There are a very large amount of earthworms. I’d say I. A 4″ x 4″ soil block there are several earthworms. Since we cannot use pesticides or chemicals, can you or anyone offer hope and a solution. Don’t mean to sound so bummed, but I am lost as what to do. I am poor And made sacrifices just to get the plot and buy seeds and now feel it may be money thrown down the drain. I am not finding answers in Google as I must not be choosing the right search words. Any thoughts? Also, I have read through your free eBook and your writings on health soil helping get rid of the pests because they don’t like healthy soil. Is there any organic way to get rid of these pests who eat tomatoes, potatoes and root crops and more? Is my only option sifting through the dirt with a screen and removing the bugs one by one about 6-8 inches deep in the 12′ x 12′ plot is the only answer that can solve the problem in a few weeks? Another possibility is to dramatically improve soil and plant health over the next few weeks. 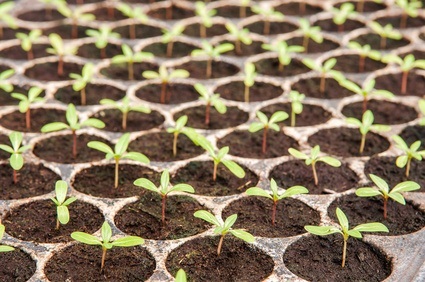 That might include many of the tips in this article, but I would especially spray with effective microorganisms and sea minerals fertilizer ( https://www.smilinggardener.com/sale/organic-fertilizers/ ).